A PEDESTRIAN IN her fifties has been seriously injured in a road collision in Co Sligo this morning. 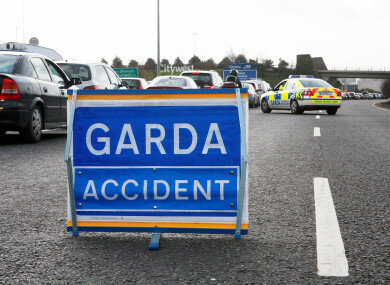 The incident occurred shortly after 9am on the Sligo Inner relief road (N4) when a car collided with the woman. The female pedestrian, whose injuries are described as “serious”, was taken to Sligo University Hospital for treatment. The female driver of the car was uninjured in the collision. The two lanes on the southbound lane are currently closed and diversions are in place. Witnesses or anyone with information are asked to contact Sligo Garda station on 071 9157000, the Garda Confidential Line on 1800 666 111 or any Garda station. Email “Woman seriously injured after being hit by a car in Sligo”. Feedback on “Woman seriously injured after being hit by a car in Sligo”.